People often put off purchasing a home at the end of the year, because it seems like too much work with the holidays approaching. Yet there are plenty of move-in ready new homes for sale in Dallas GA that would be the perfect place to say goodbye to the old year and ring in the new. Why wait to enjoy the extra space and comfort that a new home will provide, especially when you’re likely to have family and friends involved in your holiday celebrations. Most families looking at new homes are on the search because they need more room. Extra bedrooms, bonus rooms, or just more square footage in general are high on their list of demands. The Brentwood floor plan located at 32 Birch River Court in the Brookside community is ideal. This four-bedroom, 2.5-bath, two-car-garage design offers 2220 square feet. As well as an open-plan family room that connects to the spacious kitchen via a breakfast area, this home also features a separate dining room and an additional living room. The dining room is perfect for holiday dinners or big family dinners. The additional living room can be used as a more formal place for holiday events or can even be converted into a home office, depending on the family’s needs. Flexibility is one of the many great features in the Piedmont Residential homes. You could even move into this home before Thanksgiving! The Lost Creek community offers a variety of homes currently move-in ready or ready in time for the holidays, such as the property at 102 Pinnacle Point Court. 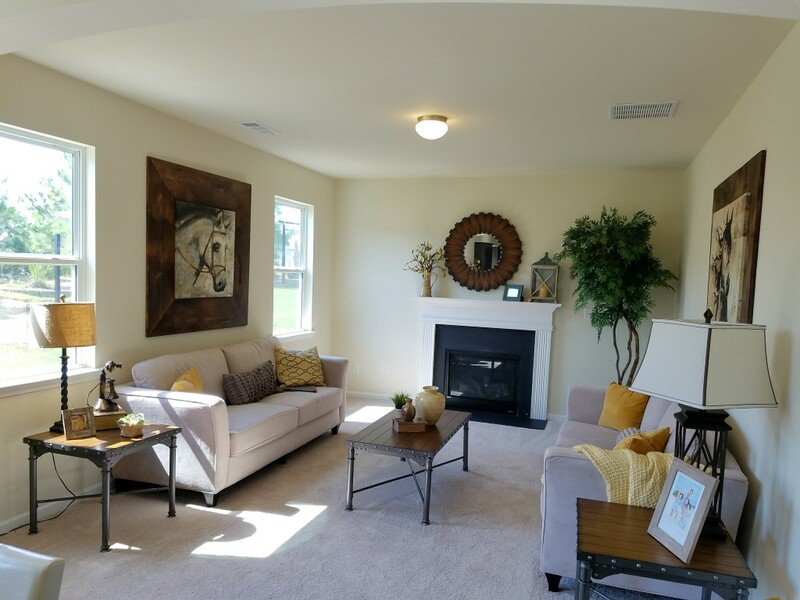 Like the Brentwood floor plan, the Turnbridge floor plan offers four bedrooms, 2.5 bathrooms and a large, open living plan on the first floor. Filled with great natural light, a cozy fireplace, and a large kitchen with island and walk-in pantry, it’s perfect for holiday parties, whether they’re casual get togethers or formal dinners, as this home also features a separate dining room. This home also includes a basement, ensuring plenty of storage for all of your decorations when the holiday season is over. It also makes a good place for any boxes you haven’t unpacked before the guests arrive! These are just two of the many properties currently available through Piedmont Residential. If you’re looking for homes for sale in Dallas GA, they have homes in a variety of communities, including Park at Cedar Crest and Vista Lake. Take advantage of the reduced competition at this time of year, not to mention the fact that many home-related businesses have more time to ensure you get in before the start of the holidays. If you’re ready to purchase, you could potentially find yourself settling in just in time for the holidays this year. Contact Piedmont Residential to learn more about their available homes today and make this holiday season shiny and new!